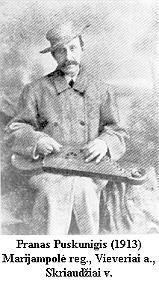 The issue presents the materials of latest investigations concerning ancient Lithuanian kanklės - the musical instruments, one of most characteristic feature of Lithuanian folk art and ethnic music and the evidence of old ethnocultural relations among the Balts, the Baltic Finns and Eastern Slavs. Electronic publishing by Multimedia Center for the Humanities, 1996. Revised 2011.